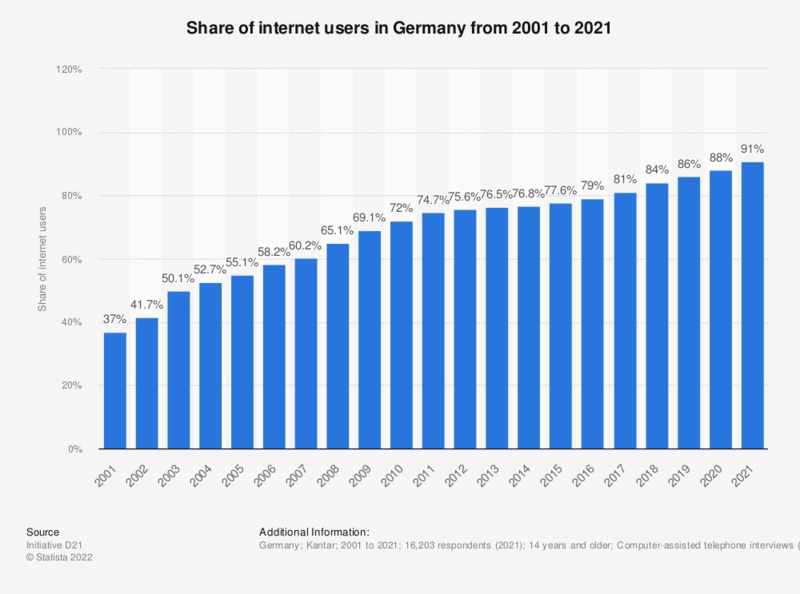 This statistic shows the share of internet users in Germany from 2001 to 2018. In 2018, the share of German internet users amounted to 84 percent, an increase compared to the previous year at 81 percent. Base of the survey: German-speaking population, aged 14 years and older, from households with a fixed-line telephone connection. Participants were selected randomly according to industry standards. D21 digital index is a developed form of the (N)ONLINER Atlas (2001-2004).